On September 9, the populist Sweden Democrats received 17.9 percent of the popular vote in the Swedish general election, and ended the day as the country’s third largest political party. In 2010, they entered the Riksdag, Sweden’s parliament, with 5.7 percent of the vote. In 2014, they got 12.9 percent. 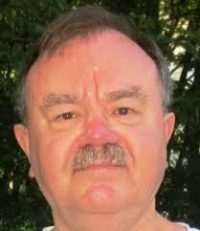 One of its founders had been an SS volunteer, and some members wore Nazi uniforms to early meetings in the late 1980s. They were too extreme to make much headway in Swedish politics in the 1990s, but Jimmie Akesson, the current leader, has moderated its image. As well, things have changed. As elsewhere in Europe, the party has moved Sweden’s entire political spectrum to the right. 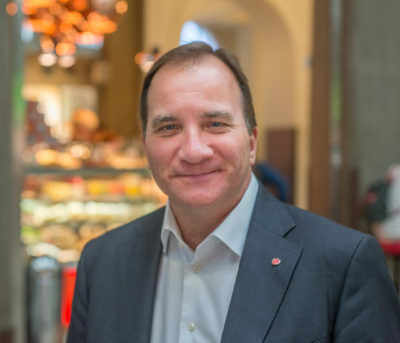 The centre-left Social Democrats, led by the current Prime Minister Stefan Lofven, have governed for 75 of the past 100 years. Since 2014, he has headed a minority coalition government alongside the Green Party. 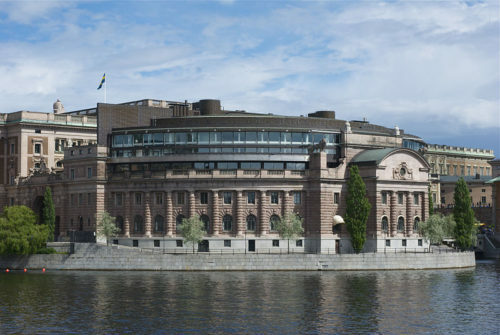 The parliament also comprises four opposition parties that have operated as a group known as the Alliance: the Moderate Party, a socially and fiscally conservative party; the agricultural-libertarian Centre Party; the Liberals, who are NATO and EU enthusiasts; and the Christian Democrats. In this election, the Social Democrats, who gained 28.4 percent, remained the largest party, but they have declined greatly from the more than 45 percent they received as recently as 1994. The Moderates got 19.8 percent, the Centre Party 8.6 percent, the Left Party 7.9 percent, the Christian Democrats 6.4 percent, the Liberals 5.5 percent, and the Greens 4.4 percent. Together, the ruling centre-left coalition won 40.6 percent, good for 144 seats, while the Alliance, at 40.2 percent, gained 143 seats in the 349-seat parliament. A “grand coalition” between them may be necessary, unless one of the groups agrees to govern with the Sweden Democrats, who captured 62 seats – a gain of 13. This remains unlikely. But Akesson indicated his party won’t support any administration which doesn’t give it influence. The main issue that propelled the success of the Sweden Democrats was immigration. Between 2010 and 2017, 983,000 people moved to the country. About 458,000 were asylum seekers, mostly from Syria, Afghanistan and Iraq. That is a big number relative to Sweden’s population of 10.1 million. The country took in more refugees per capita than any other European nation. Today 18.5 percent of the population is foreign-born, mostly from outside Europe. Initially the government, various organizations and ordinary Swedes did an extraordinary amount for asylum seekers. The Migration Agency offered accommodation and daily allowances. Sveriges Television launched shows broadcasting in simple Swedish. This has changed. A 2018 Ipsos poll found that 41 percent of Swedes want immigration to be reduced significantly. Liberal Sweden had insisted it could absorb large numbers of non-European migrants without considering how they should be integrated. It is now facing a backlash. At a party rally prior to the vote, Akesson strongly criticized Lofven’s government for “prioritizing” the cause of immigrants over the needs of citizens, giving an exhaustive list of things he says the government has failed to do for Swedish society because of migrants. Already in Malmo, a city that has faced huge problems with immigrants, Magnus Olsson, who leads the Sweden Democrats on the Malmo City Council, met his Moderate Party counterpart, Torbjorn Tegnhammar, to discuss how to oust Social Democrat mayor Katrin Stjernfeldt Jammeh. 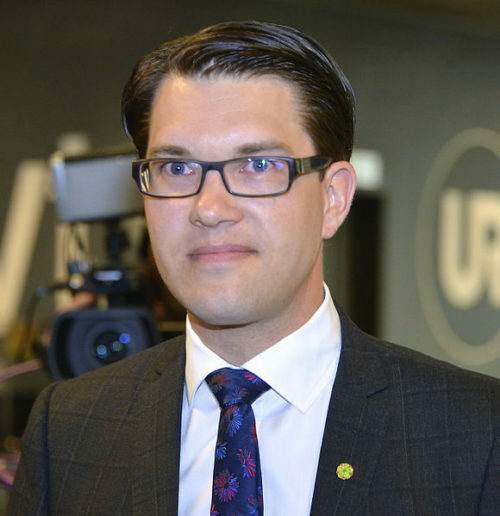 “What we talked about was quite simply how we will be able to do it, if there is a possibility for the Sweden Democrats and the Alliance to push through this change of control, and how it might look at the end,” Olsson told the Sydsvrnskan newspaper. The talks indicate that the centre-right is willing to meet and hold discussions with its far-right counterpart, at least at a city level, perhaps opening the way for a similar move nationally. Akesson claims to have kicked the extremists out of the party, pulled up its roots in white-supremacist and neo-Nazi activism, and turned it into a slick electoral machine that has doubled its vote every four years. This self-image of the Sweden Democrats was challenged by Prime Minister Lofven, who called the party “neo-fascist,” citing its early links with Keep Sweden Swedish and White Aryan Resistance. “The risk is that in a society where the Sweden Democrats have a greater and greater say and immigration is portrayed as basically a problem, racist ideas and actions become more normalized,” according to Daniel Poohl, editor of the anti-racist magazine Expo. He said that racism and intolerance are a basic part of the party’s identity. Two years ago, the party expelled one of its members of parliament for antisemitism. 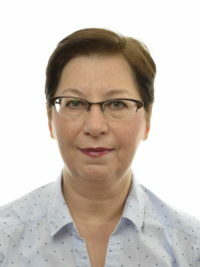 Anna Hagwall, in September 2016, proposed legislation to end state subsidies for media outlets that, she said, favor the Bonnier media group, whose controlling family has Jewish roots. Sweden’s 18,000-member Jewish community has been conflicted over how to relate to the Sweden Democrats. On the one hand, they know well the ultra-right past of the party. Sweden was a neutral country in World War II, but sold valuable war-making materiel to Adolf Hitler’s regime and did little to counter Nazi propaganda. The Sweden Democrats arose out of that ideological tradition. But now Swedish Jews have been greatly affected by the steep rise in a new antisemitism, largely stemming from recent Muslim refugees. A 2015 study reported that that 51 percent of antisemitic incidents in Sweden were attributed to Muslim extremists. Only five percent were carried out by right-wing extremists. Twenty five percent were perpetrated by left-wing extremists. The Jewish community in Malmo has shrunk by more than 50 percent in the past 10 years. The Simon Weisenthal Center in Los Angeles twice in recent years issued travel advisories to Jews not to visit the city. Last December, 200 people protested in Malmo against President Donald Trump’s decision to recognize Jerusalem as the capital of Israel. The protesters promised that “we will shoot the Jews.” A day later, during a demonstration in Stockholm, a speaker called Jews “apes and pigs.” There were promises of martyrdom. A spokesman for Malmo’s Jewish community put the situation starkly, saying Jews should not display the Star of David around their necks. As is the case with other far-right parties in Europe, the Sweden Democrats are friendly to Israel. “Follow in the footsteps of the United States and move the Swedish Embassy to where it has always belonged — in Jerusalem,” Sweden Democrats vice party leader Julia Kronlid said in a statement. Strange as it may sound, it’s quite conceivable that there were Jews who supported the Sweden Democrats in this election.